See a product description including an interview with Runar Thor, the maker of this girth, at Fleygur Islandpferdeportal. In order to avoid wounds caused by rubbing, the girth should be placed one full flat hand’s width behind the elbow of the horse. In this position, the girth closes around the sternum for full support. It is essential that the girth does not rest behind the sternum, because that is very uncomfortable for the horse and can restrict breathing. The girth should be tightened to the degree that the saddle is stable and steady on the horse, but it must not impede natural breathing. Tightening the girth too much will cause discomfort to the horse and have a negative effect on training. 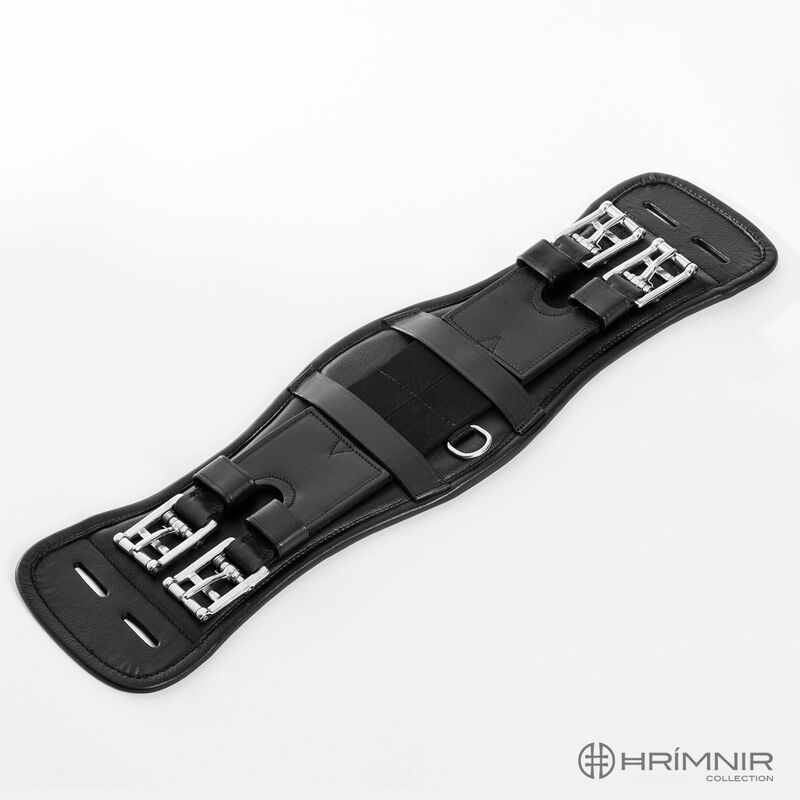 This girth was designed to be comfortable for the horse. It is made of high quality leather and features strong buckles made of stainless steel. Its anatomical shape, soft foam filling, and elastic straps make it especially comfortable for the horse. The girth is easily adjustable, sits well, and allows flexibility for movement and breathing. Buckles with rolls and extra springs make adjusting extraordinarily easy and quick. The attachment for the billet straps is designed to avoid any pinching of hair or skin.